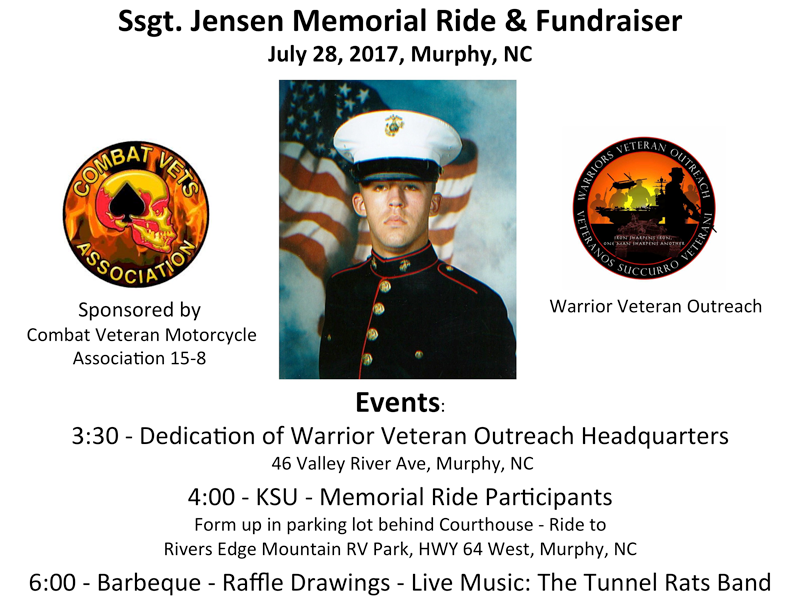 Marine SSgt Justin Alan Jensen was killed in an automobile accident in Murphy, NC. He leaves behind a wife and seven children. 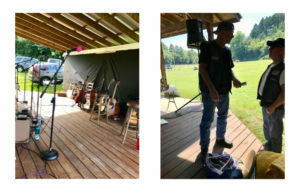 The Tunnel Rats Band assisted with Raffle Ticket sales in the Woodstock area, and performed at the Memorial Ride & Fundraiser on Saturday, July 20th, at the River’s Edge Campground, Hwy 64, Murphy, NC . There is a Go Fund Me page set up to help his family handle the financial hardships from such a devastating loss. 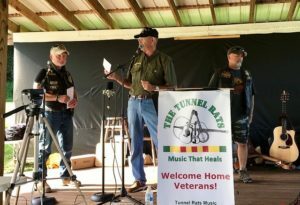 For The Tunnel Rats, supporting their community is more than performing alone. It means helping other veterans and their families in need. 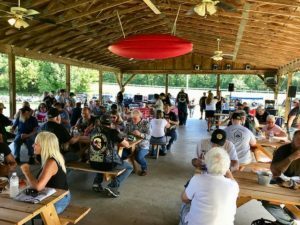 Harold Hollingshed presented checks from GVVA Chapter 1, Walt Cusick, Jr. – American Legion Post 29 Commander, John Bevich – GVVA Chapter 1 Treasurer, as well as donations from the staff at Semper Fi Bar & Grille, and other veterans from the Woodstock, GA area. 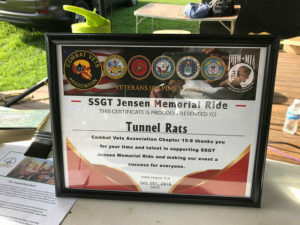 Kudos to those who supported such a great cause.